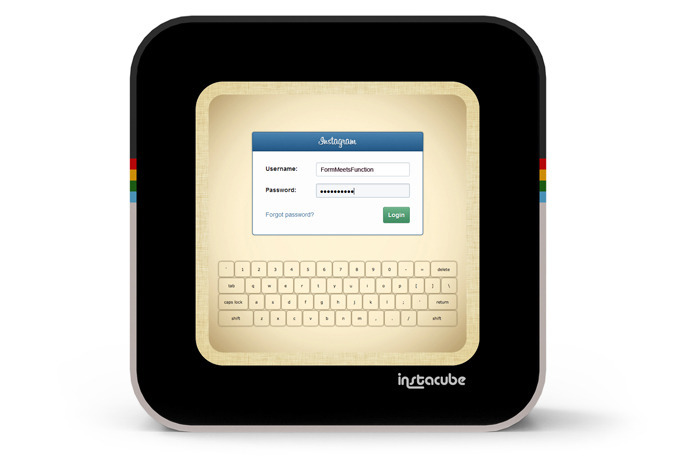 Say hello to Instacube, a sleek new purpose-built display for your Instragram feed. Sporting a robust app-shaped body and a 6.5″ display capable of displaying your Instragam pics in 3x the resolution of your iPhone, the only question we’re asking is why Instagram didn’t think of it first. The ‘cube is an Android-based device with a touch capacitive LCD display and a crisp 600 x 600 resolution. The perfect addition to any party, Instacube features a lithium ion battery so you can bring your feed to wherever you are with the on-board 802.11/g/n Wi-Fi. 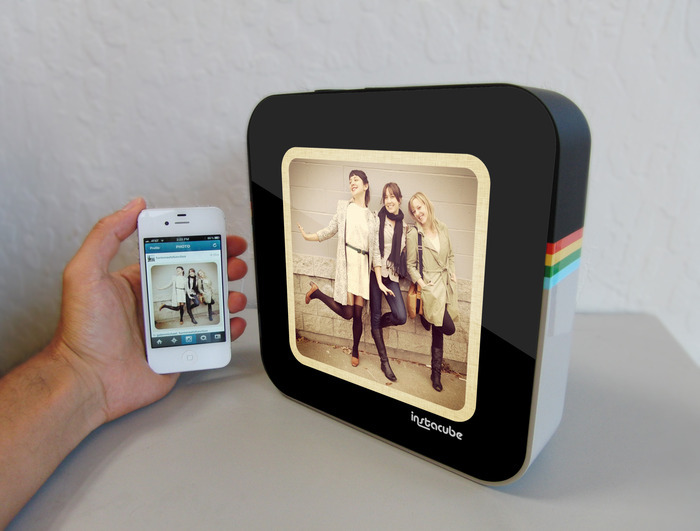 Launched by Design 2 Matter (D2M), Instacube is the latest overnight Kickstarter success story, and has already raised $82,558 at the time of writing. The company has a total goal of $250,000 with 30 days to go. The first 1000 to back the project for $99 will receive a “classic” Instacube, with $249 pledgers receiving an individually numbered collector’s edition, with the option to have your Instagram handle laser-engraved on the body. And yes, for the record – I backed it.